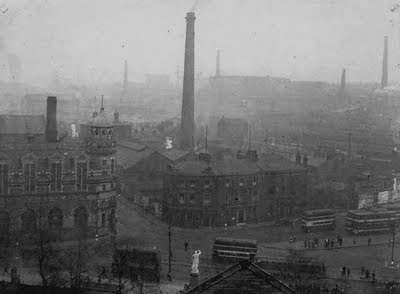 Not exactly a picture postcard image, but this view of Railway Road, with a foggy/smoggy skyline behind, is the Blackburn that many people remember. In the centre of the photo, on the corner of High Street, is the Adelphi Hotel, with part of the Dutton's Brewery complex, directly behind it. On the other corner are the offices and production plant of the ' Northern Daily Telegraph' newspaper. Just over the roof of that building, you can see the Soho Foundry, which still stands at the foot of Cicely. 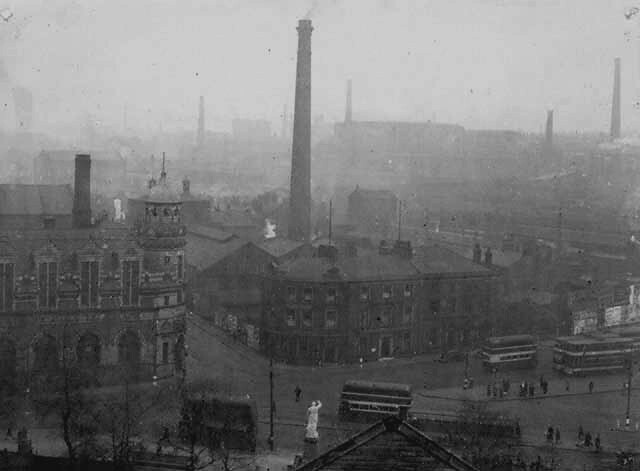 At the bottom of the picture is the statue of Gladstone, which has long since, been moved to the Blakeymoor/Northgate area. Just further up to the right of the Adelphi, more or less where the Bus is, used to be the Garage and office of "Smith's Taxi's" as I recall as a young lad in the early 60's. I think his first name was "Bill" ? and he had a fleet (well 3 or 4) of Humber Hawk Cars. Apart from the Trams (I'm not old enough to remember them) this is excactly how I remember the Boulevard in my childhood.